One of our absolute most favorite fandoms is Harry Potter. The latest addition to the Harry Potter Cinematic World, Fantastic Beasts and Where to Find Them, is now out on Blu-Ray! To celebrate the release of this new generation of Harry Potter inspired films, we have come up with a brand new recipe! With food being such an important player in J.K. Rowling’s storytelling, we wanted to pick a recipe that would be easy to replicate but feel magical. It only stood to reason then, that we should make Queenie’s Hot Chocolate! In the film, Queenie makes Newt Scamander and Jacob Kowalski hot cocoa. She serves them Conjure Cocoa, a brand of instant wizarding hot chocolate. 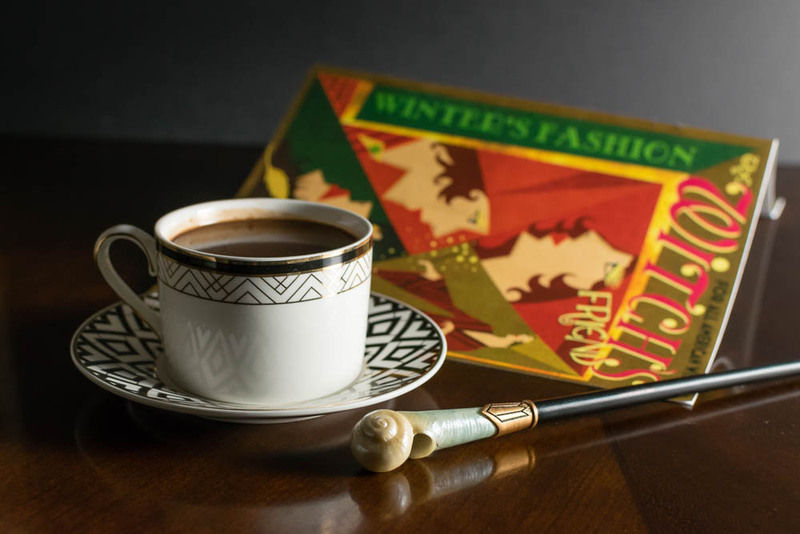 This was a popular brand for wizards and witches in the 1920s as instant hot chocolate was just becoming popular at this time. Sadly, we aren’t able to get our hands on any Conjure Cocoa (restrictions and all). 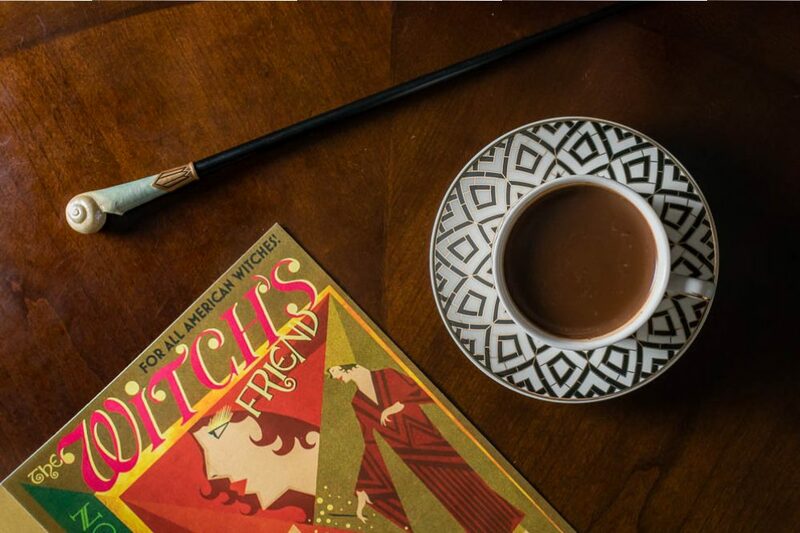 For our version of Queenie’s Hot Cocoa, we have modified a recipe that would have been popular in the 1920s before instant hot chocolate became popular. This version was a richer drinking chocolate. Believe it or not, even before the 1920s, Thomas Jefferson predicted that drinking chocolate would someday eclipse tea and coffee in popularity. Doctors touted its medical benefits. Not only did drinking chocolate restore healthy weight gain for patients recovering from tuberculosis, while stimulating the nervous system it acted as a calming agent for soldiers fresh from battle. Dementors anyone? To make our hot chocolate a bit more magical, we used orange blossom water and a bit of nutmeg. 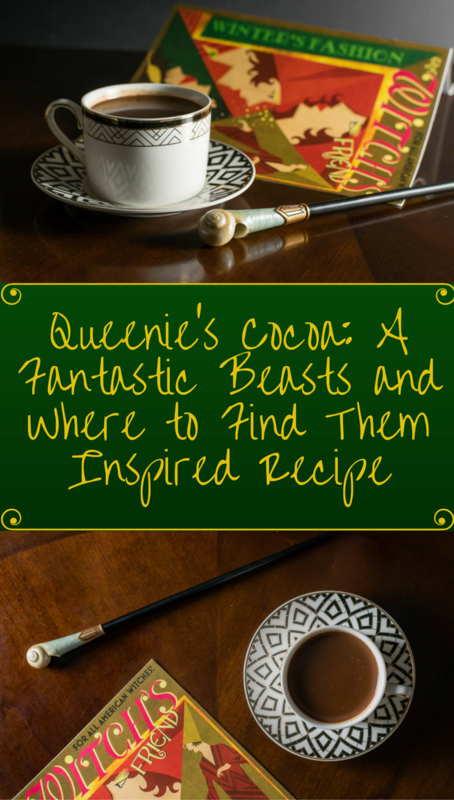 We hope our recipe for Queenie’s Hot Chocolate has made your day a little more magical! Have you seen Fantastic Beasts and Where to Find Them? What recipe would you love to try? Perhaps a pie from Jacob? Queenie’s Strudel? Let us know in the comments below or use the hashtag #GeekEats! Microwave until melted, stirring occasionally; about one minute. Whisk in 3 tablespoons hot water, Orange Blossom Water, and nutmeg. Divide hot milk into each mug, stirring chocolate mixture until smooth. This sounds delicious! I have never heard of Orange Blossom Water before! This sounds so good, especially with the use of chocolate bits and the orange blossom water! Great job coming up with something that, I think, Queenie would surely approve of!